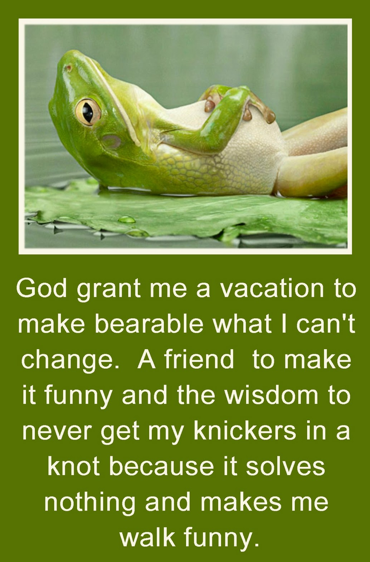 Sometimes all you need is a good vacation, a funny friend and your pants on straight. You never know what life will throw you and what challenges you will face, but if you have one of the above, you can make it through anything. 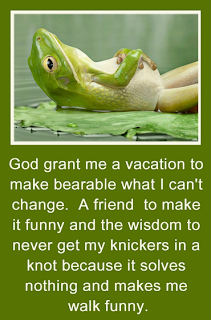 This funny re-write of the Serenity Prayer, found on Guru Eduardo, will hopefully make you laugh and make your day a little brighter.